1. No one in government ever takes responsibility for anything. When has a politician or bureaucrat, except for Ron Paul, indicted some past governmental measure as causing or exacerbating a problem, and propose addressing that problem by calling for that measure’s repeal? The answer, of course, is virtually never; to the political class, every problem in society is caused by insufficient governmental oversight: if government can be blamed for anything, it can only be that it didn’t take away more of people’s freedom sooner. As Mises wrote, all governmental measures carry within them the seeds of future measures that will be "needed" to "fix" the problems the earlier measures caused or exacerbated. We have seen this occur with the current financial crisis, which the political class and the mainstream media have repeatedly blamed largely on "deregulation" (despite the fact that the financial industry is saddled with tens of thousands of regulations that no one person could possibly even read — much less comprehend — in one lifetime, and despite the fact that the sort of "deregulation" to which critics refer did not entail moving toward a free market, but rather entailed encouraging — or even requiring, such as with the Community Reinvestment Act — banks to engage in unsound business practices which they would be unlikely to undertake on their own, especially without further government distortions, such as the Fed acting as a lender of last resort); "greed" (which is always and everywhere a universal human trait, and which the market tends to direct into the source of virtually all human progress, and which couldn’t have contributed the current downturn without the government’s involvement); "corruption" (which the market punishes automatically, and which also couldn’t exist as it did in the present downturn without the government); etc. In that vein, President Obama proposed last month to avert future crises by massively increasing the power of the Federal Reserve, the very existence of which is the root cause of the current crisis. 2. Fundamental questions about the legitimacy of governmental measures are not allowed in mainstream political discourse. 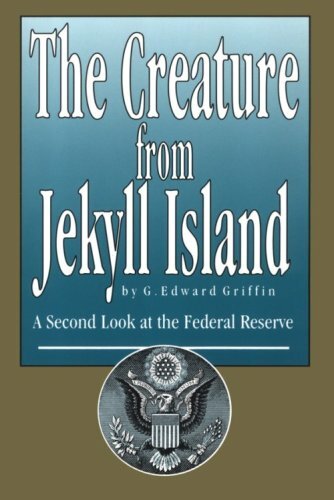 Regarding the financial crisis, the legitimacy of the very existence of the Fed is off the table; few in the Establishment indict it at all, while those that do question only whether trivial changes should be made to its operations. 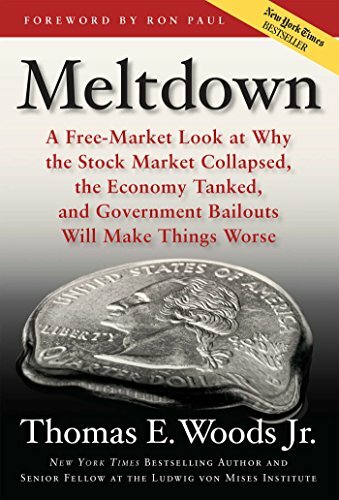 Dr. Thomas Woods uses these rules-of-thumb to expose the emptiness of statists blaming the "free market" for the downturn in his latest book, Meltdown: A Free-Market Look at Why the Stock Market Crashed, the Economy Tanked, and Government Bailouts Will Make Things Worse, which spent 10 weeks on the New York Times Best-Seller List earlier this year. As Dr. Woods eloquently explains, the root cause of the economic downturn is the very existence of the Federal Reserve and its ability to create money and credit out of thin air, create false booms that should inevitably lead to busts — and then prolonging a crisis by trying to stop the necessary busts from occurring, encourage unsound banking practices, and set interest rates lower than they would evolve through voluntary exchange on the market. Even leaving aside the obvious question of why more "regulation" would prevent future crises when the innumerable "regulations" we already have failed to stop this one, calls for more "regulation" completely miss the Fed as the root cause of the downturn, and are like the joke about rearranging the deck chairs on the Titanic; the underlying system is fundamentally unsound, and piling all the "regulation" in the world on top of it won’t change that. More importantly, Dr. Woods also explains that blaming the crisis on the "free market" is absurd because our market is about as far from "free" as one could get, because an institution like the Federal Reserve wouldn’t even exist in a free market. Nor, as Dr. Woods also explains, would other culprits of the onset or perpetuation of the downturn, like Fannie Mae, Freddie Mac or FDIC insurance of bank deposits exist in a free market. In short, as Jeff Tucker commented earlier this year, when you “take a market and beat it, tax it, regulate it, subsidize it, flood it with fake money, punish its performers and reward its losers, hobble its capital sector, strangle consumers, nationalize stuff at will, and erect every possible barrier to trade and cooperation,” that can barely even be referred to accurately as a "market" — and it certainly isn’t a “free” one; it is, by definition, severely hampered. But, critics retort, didn’t the United States suffer economic downturns in the 19th Century, before the existence of the Fed? Yes. But every significant pre-Fed downturn was the result, as Austrian Business Cycle Theory teaches, of massive, artificial credit expansion, followed by a bust. "The pattern is so pervasive," Dr. Woods asserts, "that only with serious effort could one fail to see it." The Panic of 1857 was followed by a five-year boom based on substantial credit expansion, during which state governments had also backed railroad bonds, promising to make good on them if the railroad companies did not. 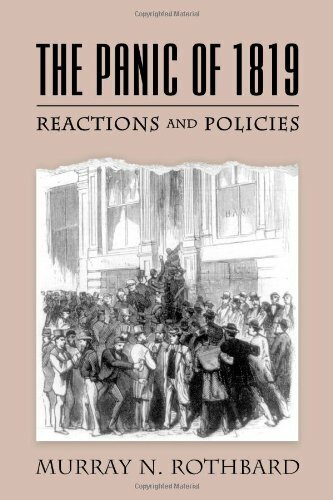 The Panic of 1873 followed railroad overexpansion, financed by credit expansion and government subsidies made possible by the National Banking Acts of 1863 and 1864. There are numerous myths about the boom of the 1920s and the ensuing Great Depression that refuse to die. First, it’s important to know that Warren Harding inherited a more severe recession in 1921 than did FDR in 1933. But most people haven’t heard of this recession because Harding followed the opposite of the Keynesian prescription: he cut spending and taxes dramatically, and allowed the correction to run its course. In short order, prosperity was restored. Second, that prosperity, which included genuine increases in production in the private sector, was also fueled by the Fed increasing the money supply by 55% — largely through loans to businesses, rather than through currency expansion — from 1921—1929. With drastically increased production, consumer prices should have been falling; the fact that they were constant throughout the decade was evidence at the time of the Fed’s manipulation. Austrian theory holds that such a false, inflationary boom will artificially stimulate capital-goods industries like real-estate; and, since a company’s stock price represents the perceived value of its capital, it will also create a stock market bubble. But that was lost on (or lied about by) Establishment economists like Irving Fisher, who is still well regarded in the mainstream today, who said in Sept. 1929 — less than two months before the stock market crash — that, "There may be a recession in stock prices, but not anything in the nature of a crash. This is not due to receding prices for stocks, and will not be hastened by any anticipated crash, the possibility of which I fail to see." In Oct. 1929 — days before the crash — Fisher said that stocks had reached a "permanently high plateau," and that he expected to see the stock market "a good deal higher than it is today within a few months." In contrast, Austrian economist Ludwig Von Mises said at the time of the situation in the United States, "It is clear that the crisis must come sooner or later . . . The only way to do away with, or even to alleviate, the periodic return of the trade cycle — with its denouncement, the crisis — is to reject the fallacy that prosperity can be produced by using banking procedures to make credit cheap." Third, contrary to popular myth, Hoover did not let the market correct itself, which statists describe as sitting back and doing nothing while the Great Depression ravaged the country. If only he had. Instead, Hoover intervened in the economy to an extent that no previous peacetime president ever had, explicitly denouncing laissez-faire as a thing of the past and launching public works projects, raising taxes, extending emergency loans to failing companies, impeding international trade, lending money to states for relief programs, and attempting to prop up wages when consumer prices were falling. Shockingly, the downturn dragged on. And he certainly didn’t heed Mises’ wise counsel and identify the Fed as the culprit of the crisis and agitate for its abolition. In the 1932 presidential campaign, Franklin Roosevelt denounced Hoover for having presided over "the greatest spending administration in peacetime in all of history," and for believing "that we ought to center control of everything in Washington as rapidly as possible." In the same campaign, FDR’s running-mate, John Nance Garner, said that Hoover was "leading the country down the path to socialism"
As everyone knows, FDR won the election, and his actions in office belied his words during the campaign. But most people don’t know that, as we’ve seen, his policies weren’t a departure from those of Hoover; they were an extension of them. FDR mistakenly thought falling prices were a cause, rather than a symptom, of the depression. So he attempted to restore prosperity by keeping prices high. At a time when people were going hungry, he had existing crops destroyed and imposed acreage reduction requirements on farmers. He encouraged certain industries to organize themselves into cartels that could impose restrictions on free economic activity. He raised taxes still more, expanded public works spending, and established federal welfare programs. The effect of these policies was to prevent the necessary correction, prop up unsound businesses, divert capital from the private sector into uneconomic public works projects, and prevent resources from being reallocated to reflect consumer desires through the free movement of prices and wages. Some Keynesians argue that the depression was so severe because the money supply was too low. But, as Dr. Woods explains, the money supply decreased in roughly the same proportions in the downturn of 1839—1843 as they did in 1929—1933. But, in the former case, the government allowed prices to fall freely, and consumption increased by 21% and the real GNP grew by 16% during those years (investment fell by 23%, but it should be expected to fall during a correction). By contrast, the latter period saw declines of 19% in consumption, 30% in GNP, and 91% in investment. More often, Keynesians and other statists invoke our second rule-of-thumb, to this day explaining away FDR’s failures as the fault of too little public spending: if only more resources had been seized from the productive economy and diverted into uneconomic public works projects, prosperity could have been restored. Along that line, such people also say to this day that the Great Depression was ended by the massive public works project known as WWII. It’s true that about 30% of the pre-war labor force was drafted into the military, but that’s like "curing" unemployment by lining up unemployed people in front of a firing squad. And roughly 40% of the national output was diverted to the war machine, with much of the rest under various controls that also had ripple effects throughout the rest of the economy; those lucky enough to avoid conscription had their consumer choices severely limited, and the products that were available were under heavy rationing. No one with any sense could think this describes a period of prosperity, although fishy government statistics supposedly show otherwise — they also show that there was an economic downturn in 1946. So if this is all true, then why are so many Establishment politicians, bureaucrats, intellectuals and media people calling for the idiocy of the Great Depression to be repeated, that we need a "new New Deal?" More importantly, why does the media give so much attention to such cranks who advocate repeating policies that history demonstrably shows to be disastrous — and who have personally been demonstrably wrong in the past, like Paul Krugman (who, among other things, called in 2001 for the government to create a housing bubble to help the economy "recover" from the recently busted dot-com bubble), Barney Frank (who said in 2003 that Fannie and Freddie were "not facing any kind of financial crisis . . . The more people exaggerate these problems, the more pressure there is on these companies, the less we will see in terms of affordable housing,") and Henry Paulson (who warned of an imminent second Great Depression if Congress didn’t pass the $700 billion "rescue plan" last year, and who said it would be used to buy bad assets from banks, but then abandoned the plan once the bill was passed — and admitted that he knew from the beginning that it wasn’t the right thing to do, and then said that consumer credit needing propping up, as if people living beyond their means — which the market was trying to stop — was the basis for a sound economy, or was tenable long term)? And why does the media tend to ignore the work of Austrian school economists like Ludwig von Mises, F.A. 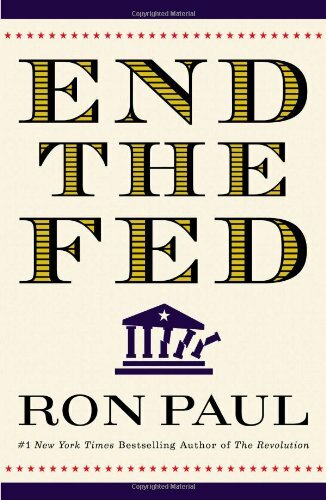 Hayek (who won the Nobel Prize in economics in 1974 for explaining how governments create the boom-and-bust cycle by attempting to create shortcuts to prosperity through their central banks) and Murray Rothbard, who predicted busts like this, or its proponents, like Ron Paul, who specifically predicted this bust years ago? 3. People generally rise to — and maintain — high places in politics, academia, and the media by dutifully perpetuating the power elite’s system. Government regulations and agencies are generally created to give the power elite benefits that they would be unable to attain on the market, through voluntary exchange — like higher income and profit levels, monopolies, cartels, and other protections from free competition. But most people wouldn’t support that system if they understood its real purpose — to erode their standard of living for the benefit of their masters — which is why they’re brainwashed through twelve years of government schooling to believe that the system is for their protection. But that brainwashing needs constant reinforcement, so opinion makers in the media and academia are needed to espouse the glories of the elite’s system, and to dismiss as crackpots anyone who questions it (although, in fairness, most are probably also government school graduates, so many of them may not be consciously aware of what they’re doing, and the sharp ones who fall through the cracks quickly learn not to cause trouble and ask the wrong questions, especially if they’re ambitious). Politicians and bureaucrats toe the line not only for career advancement, but also because to do otherwise would totally undermine the justification of the coercive power they presume to hold over others. This all means that with any news about government that comes from anyone in government, from TV news, major newspapers, "respectable" websites, etc, it’s generally safe to assume that it’s the opposite of the truth. In conclusion, a free market wouldn’t be perfect, because people aren’t perfect; the world isn’t perfect: businesspeople sometimes make honest mistakes, and they sometimes commit deliberate fraud. But a free market would solve all problems, including economic crises, as well as they can be solved in an imperfect world. Liquidation of business mistakes would be allowed to occur; this would entail unpleasant downturns — but they would be brief, and they would tend to be company-specific, industry-specific, and local. And sometimes individual banks would engage in fraudulent currency or credit expansion beyond specie. But free competition in banking would discourage such practices — including the fear that exposure of the fraud would cause a bank run, meaning losing customers to more honest and prudent banks, and the fraudulent bank going out of business — as it should. And, without a false security blanket from the government, people would tend to mitigate the threat by spreading their assets among numerous banks. Instead, the government has "protected" us from the ravages of the free market by deepening and perpetuating necessary economic downturns, forcing us all at gunpoint to perpetually have our standard of living eroded by inflation, and turning both phenomena into national calamities. To understand all of this in more depth, read Meltdown. Then you’ll have all of the intellectual ammunition you’ll need to explain why the current economic crisis is not the fault of the "free market." Is Switzerland the Next US Victim? Want To Understand Ben the Counterfeiter Bernanke?